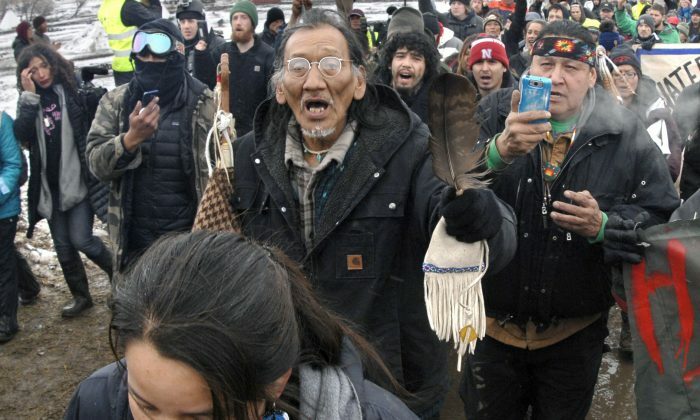 The Native American activist who approached a group of teenagers in Washington on Jan. 18, with video of the incident going viral, has a violent criminal record that includes a prison escape. Nathan Phillips, whose given name is Nathaniel R. Stanard, was charged on May 8, 1974, with assault and escape from prison, according to the Lincoln Journal Star. An edition of The Lincoln Star the next day provided more details: Stanard, then 19, was “charged with escaping from the Nebraska Penal Complex where he was confined May 3,” it stated. Standard initially pleaded innocent to assault but changed to a guilty plea on June 19 of that year and was fined $200, according to The Lincoln Star. Then 18, he was charged with two counts, one for intoxication and one for the destruction of property. The latter was dismissed and he was sentenced to one year of probation for the former on Oct. 30, 1973, according to the Journal Star. On Nov. 22, 1975, he was sentenced to 12 days in jail for two counts, a minor possessing alcohol and intoxication, according to the Journal Star. Standard was also charged multiple times for driving-related issues. On Aug. 28, 1973, for instance, he was fined $40 for driving in a negligent manner. Phillips’s life has come under examination after he sparked the incident on Jan. 18, sparking a slew of news stories that relied heavily on an edited video clip that, devoid of context, appeared to show a group of high school students jeering him as banged a drum in the face of one. Phillips made several allegations that were later proven false, such as saying the students blocked his passage to the Lincoln Memorial when, in fact, there was ample space on either side of them to pass by. 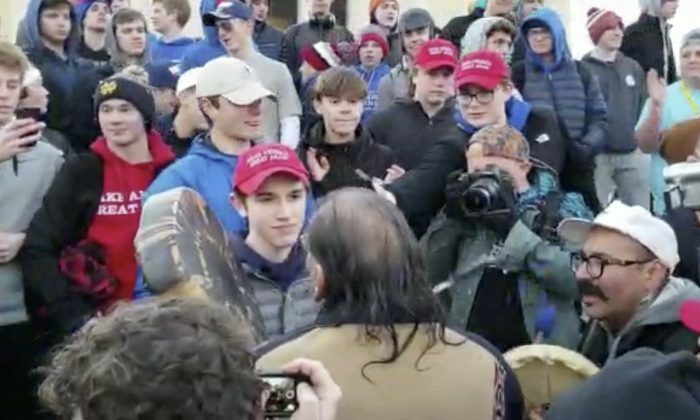 Phillips, who also lied about being a Vietnam veteran, has suggested that the student he confronted, Nick Sandmann, be expelled for standing and smiling. He also slammed Sandmann after the student said he believed he was being peaceful by standing still and not reacting to the activist drumming in his face. “I believed that by remaining motionless and calm, I was helping to diffuse the situation,” Sandmann said in a statement. “I realized everyone had cameras and that perhaps a group of adults was trying to provoke a group of teenagers into a larger conflict. I said a silent prayer that the situation would not get out of hand,” Sandmann continued. In a speech in front of the Basilica of the National Shrine of the Immaculate Conception in Washington the day after the incident, Phillips again berated the students and said that they should be punished by colleges that had accepted them, reported the Daily Caller. “We demand that the students of Covington Catholic High School be reprimanded—not just by the school officials as seniors, but by their upcoming universities,” he said.